Actor-Director Sudeep whose block buster My Autograph remains the only shining product among this year's releases has already finished all the pre=shooting work for his second film No. 73, Shanthi Nivasa. The music composition and voice mixing has already been done by Music Director Bharadwaj. Three days initial shooting has also been done. Now, a big shooting schedule will start on the Vijayadhashami day at the St. John's Hospital where a song sequence shooting featuring Sudeep, Anu Prabhakar and Deepu (who played one of the important roles in My Autograph) will be shot. Then the entire unit is moving to Madikeri where continuous shooting for the film will be taking place in a set erected by Dinesh Mangalore. 73 Shanthinivasa Film GroupGiving details about his film in a press conference, Sudeep said that the film is quite different from My Autograph and he is highlighting the importance of family values in the film. "We are normally forgetting our cultural ethos and many things that were bringing lot of satisfaction to our elders. My film will aim at reviving and reminding us of such old things which were pleasant and extremely likeable' says Sudeep. 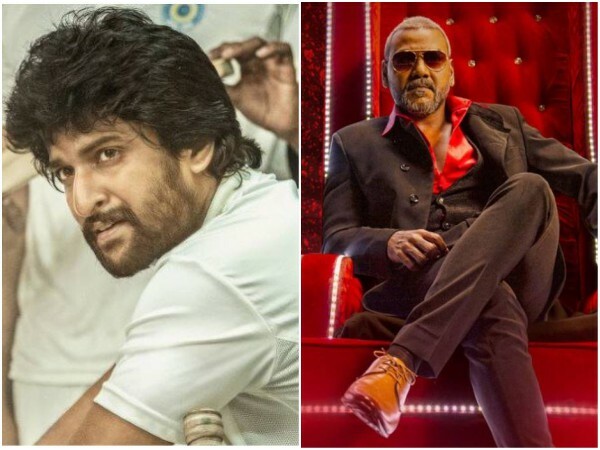 Sudeep says that he is having a big star cast for the film which includes a genius like Master Hirannaiah who is playing a big role in the film. Sreenivasa Murthy, Ramesh Bhat and Komal are playing other important roles along with Chirta Shenoy in the film, he added. "What has really struck me is the deep interest that all the artists are taking about the film. I am acting with Komal in the film for the first time, but I found his enthusiasm at a high degree. He would talk to me about the whole film and even gave his opinion thing about his own costumes and mannerisms. I am getting same type of co-operation from other artists also' said Sudeep. Sudeep has again selected Venkat (photographer of My Autograph) for wielding the camera. Dinesh Mangalore who will be working with Sudeep as an Art Director for the first time said that he is quite excited about the project.